It's time for the weekly wrap up - Here's where you'll find some links to a few of the great posts my affiliates made this week. Head on over and take a look - Enjoy! Info on Two books and some Contests! This next week, I not only have a couple reviews coming up but I also have a contest with CSN stores, so keep an eye out for that. September just keeps getting bigger and bigger when it comes to all the contests and prizes I have ready to give away!!! If I make it to 500+ followers by then I'll add in another contest or two. 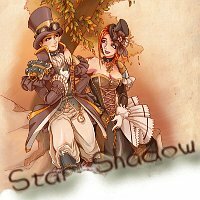 Right now I'm looking at 12 or so contests JUST for September and would love to add in another one or two for everyone. So, lets all hope I make it to that 500+ magic number! From: the Publisher - Thank You! Synopsis: Everything changes for Dani and her family when a truck loaded with explosives detonates outside the AMIA building in Buenos Aires, Argentina, killing her beloved aunt and unborn cousin. Because of the ensuing political upheaval, economic hardship, and emotional toll, Dani's family moves to the U.S. It is a terrifying place--new school, new language, new hardships--and Dani's angry father is turning into a stranger, more so everyday. Just when Dani thinks she is about to lose it, she befriends Jessica, one of the girls who has been cruelly teasing her since she arrived. 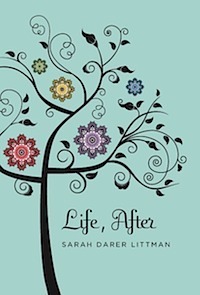 Review: 3 Stars - Life, After was a touching novel about a teenage girl named Dani and her family and the direct affects that terrorism, and “The Crisis” had on them and everyone living not only in Buenos Aires, but throughout Argentina. Dani and her family are faced with more then hard times due to crisis after crisis including a terrorism bombing that more then hurt her family and so many others. With most of the country falling on hard times, many flee in search of a better life. When things become apparent to her mother that the family is in more trouble than they can get out of and growing worse by the day, she goes against her husbands wishes and chooses to move to America in search of safety and a better life for Dani and her younger sister. Going against her fathers’ strong values, it takes some convincing, but he gives in and they move to the US. The dramatic changes the whole family face when having to be uprooted from one country to another were stressful to say the least and Dani seemed to take on a lot when it came to her family. She had so many responsibilities and I felt she often missed out on much of what it means to be a teenager. At school she finds a few people who are nice to her and some that aren’t so nice. She ends up becoming friends with a boy who has Asperger’s Syndrome and how she is with him were some of my favorite parts in the story. Slow in spots and emotional in others - Dani took so much in stride – but what she has to go through to get there is what made this book all that it was. Readers will appreciate the vast relationships new and old to country to country and culture to culture – Life, After shows us just how different we all are and how we can relate to each other if we all take the time to listen. Synopsis: Alexis Ames has a life full of promise…but not all promises can be kept. When Alexis Ames is attacked by creatures that can’t be real, ...more Alexis Ames has a life full of promise…but not all promises can be kept. And now I want to welcome Kristie and say how excited I am about the series and that I was able to take part in the Blog Tour! Before entering the business side of writing fiction, I never paid much attention to publishers. Like most readers (I think), all I really cared about was the author (if they were familiar) or the title (if it was recommended). I might have noticed that the cover themes of a favorite author looked different because they changed publishers. I didn’t really care much who published the book, though, as long as it was good. When I decided to go indie to publish my books, it was with this in mind. Do readers really care? Overall, no, as long as the book meets their standards and expectations. Unfortunately, there are self-published books that are very obviously self-pubbed – their covers scream amateur with just text on an ugly background and the writing needs serious editing help. But beyond that, if the book grabs attention and, especially, if it has been recommended, it doesn’t matter who the publishing company is. My team and I have worked hard to ensure that the cover and printing meet professional standards and that the story is well polished. If you didn’t know it was self-published, you would probably never know the difference. We’ve taken steps to ensure you can buy it on any major retailer’s website (or you will in the near future, anyway) or walk into any brick-and-mortar and order it. Eventually, if it gets enough buzz and requests, the stores and libraries will stock it on their shelves. The biggest and most unexpected challenge has been meeting the requests of buyers outside of the U.S. We’ve had so many inquiries that we’re frantically looking for solutions besides expensive international shipping. As a tiny publisher with only one title, however, it takes time to get listed with places such as The Book Depository. I underestimated the blogosphere and how far the reach of Promise’s buzz would go and didn’t think this would be an issue for some time. Don’t get me wrong. I’m not complaining at all. People from the U.K., Greece, Canada, Mexico and other countries have taken the time to email me because they can’t find my book and they really want to read it. How cool is that?!? Like chocolate-ice-cream-with-caramel-and-peanut-butter cool! So no complaints. We’re just learning what we can do and ask that people have patience with us. So far, the road to publication has been a huge learning experience, sometimes challenging and sometimes a lot of work. But mostly it’s been fun. I’ve met so many people and learned so many new things. I look forward to the journey ahead. I think you’ll be seeing more and more writers taking the same path. The six big publishers are feeling the effects of the economy, as well as the digitizing of books. They’re trying to avoid the fiasco the music industry faced with piracy and loss of sales, while dealing with old foes, such as television, newspapers, movies, video games, etc., as well as new competition for people’s attention, such as the Internet, social media, multimedia players, etc. They have little money to invest in new authors that mean even more risk than usual. I think within the next five or so years, publishers will require debut authors to build their own audience through self-publishing. After all, it’s fairly easy and inexpensive these days. Writers can prove themselves to readers and when they have a solid fan-base, publishers will take the risk of investing in them. 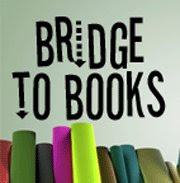 So readers will be the ones choosing what they want to read, with a plethora of possibilities they’ve never had before. You’ll no longer be kept from something you might like because an agent or publisher already decided for you that you wouldn’t like it. You’ll no longer be told what’s good enough. You’ll have to figure it out for yourself, but you’ll also get to discover authors and stories that you otherwise would have never known…like Promise. Freedom to choose what you want to read? That’s pretty awesome for the reader and the author! Thank you so much for stopping by Kristie! 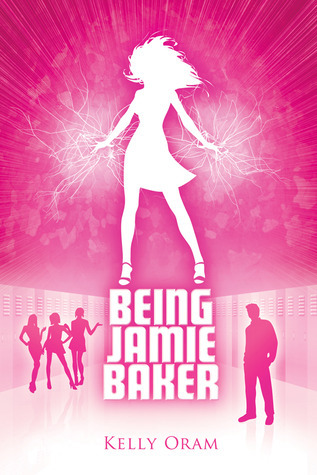 From reading the book, to this guest post for the blog tour, it's been a blast! Congraulations to you on the release of Promise! From: the Author - Thank You Kristie! Review: 5 Stars - Kristie Cook is destined to take the self publishing world by storm with her first novel in the brand new Soul Savers series – Promise. Thrilling, action packed, with rich and endearing characters, mystery and a love story unlike most others, this book has all the key ingredients and then some to quickly become the book everyone wants to read. Alexis and her mother are on the move again. When everyone including yourself thinks you’re a freak because of your strange abilities and your mother doesn’t seem to age, you tend to move around a lot. With starting college it’s the perfect time to make a fresh start and begin again. Moving to Florida would be perfect, just no one was expecting it to be life changing. Alexis is a strong level headed character and when Tristan enters her life you just know they are destined. I enjoyed watching their relationship grow into something epic. What’s interesting is that this wasn’t a love at first sight type of love, it was a love that grew from friendship which was a breath of fresh air. Alexis has her guard up and has good reason to and Tristan has some secrets as well. That’s where the beauty of their relationship comes in. They took the time to sort through things and listen and learn about each other, to figure out that what they needed most might just be what the other is willing to give. Tristan is fierce and loyal and has his own set of problems to deal with and he wants nothing more then to be a better person for not only himself but for Alexis and a whole race of people. He might have a lot of history to make up for, but wants nothing more than to do just that. The inner battles he faces are part of what makes him perfect to me. Knowing a character is flawed and watching their internal struggle to be better and overcome them is something that always draws me in. With a war looming above Alexis, Tristan and everyone around them they must figure out a way to keep Alexis safe and keep their love secret from the evil forces at work. It’s a war between good and evil with little to no way to stop it. 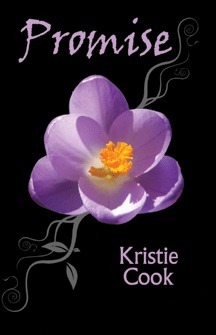 The story flowed easily from one page to another with the descriptive writing, strong characters that were easy to cheer for and a love story to leave your heart tingling - Kristie’s Promise is a book bursting at the seams - with an ending that’ll leave you wanting more. 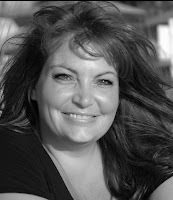 To help celebrate the release of Promise, I was lucky enough to take part in the Blog Tour. Check back for a Guest Post with Kristie later today!! It looks like it's time for another Hop and Follow Friday! Also, to my new followers and followers who are just finding me via the Blog Hop - be sure when you comment to leave a link to your blog so I can follow you back! Happy Friday to everyone! Today's Questions: Who is your favorite new-to-you author so far this year?? Wow! That's a tough to pick just one. I'd have to say Jandy Nelson, Jeri Smith-Ready, Kristie Cook and Jennifer Echols... Stacey Kade... just to name a few. 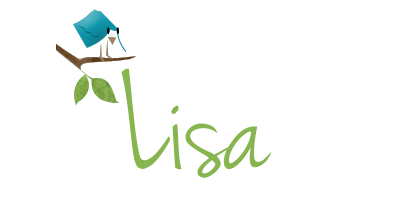 Some info to everyone, Followers new and old - I have some great Interviews, Guest Posts, Reviews, and Contests coming up in August and then in September to help celebrate my 1st Blogoversary!! (it was originally suppose to be for August, but I'm combining my Blogoversary, Birthday and reaching 400+ followers that I hope by that time will be a celebration of 500+ followers!!) TONS of contest, lots of winners - some GREAT stuff planned! I can't wait! Happy Friday Everyone!!! Enjoy the weekend! Review: 4 Stars - One Night That Changes Everything was a cute and entertaining story about overcoming your fears and second chances. Our main character Eliza is faced with a huge problem. She’s misplaced her notebook and can’t seem to find it. That wouldn’t be a big deal, except the contents tell of every fear she has ever had – emotional, physical, the whole gambit of fears since she was younger. In comes a call from the one person she never wants to speak to again – her ex-boyfriend Cooper who tells her he’s got the notebook and just where to meet him to get it back. Set over the course of a single night, it takes on a slight hint of Nick and Norah’s Infinite Play list as Eliza and her best friends travel all through the city to try to complete task after task in order to not only get Eliza’s notebook back, but to keep some of the secrets.. well, secret. With flighty friends, Eliza finds herself stuck with the one person she didn’t want to be near and over the course of the night she has to fight through some scary and embarrassing challenges. Some I don’t think I’d ever want to face. Yet in the end it was nice to see that not only did Eliza learn a lot about herself and her fears, but she changed because of them. All in all One Night was a quick and entertaining read with characters that could easily be real people. I enjoyed it from beginning to end. Being that we all have fears of some sort I think that most would find this story easy to relate to and the lightness, humor and entertaining characters would make this a great summer read that many will be able to enjoy. I’m looking forward to reading more from Barnholdt in the future. Three books this week. Sometimes it's hard just to choose one. Synopsis: Pink-haired Hilda and endearing punk Benji, both seventeen, have an obsessive hobby—they haunt the places where Hollywood celebrities have died. 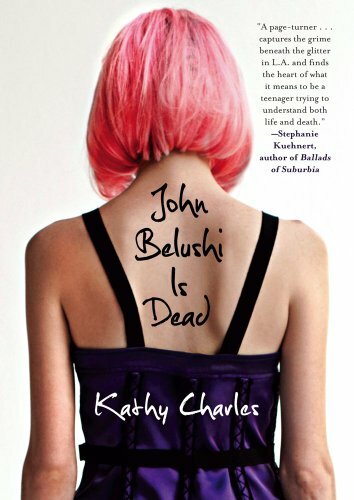 Sounds like a quirky read, one that I'm looking forward to. What about you guys? Anyone else looking forward to this one or think this sounds like a good read? But the real question is: how does he end up in love with Jewel Valentine? With the help of quirky teenage prodigies Little Al and True Grisham, Sacha and Jewel have a crazy adventure, with a little lobster emancipation along the way. But Sacha’s running out of time, and Jewel has secrets of her own. As soon as I read about this one, I knew I had to add it to my must read/wish list. I really can't wait to read it. Anyone else agree? What do you guys think? 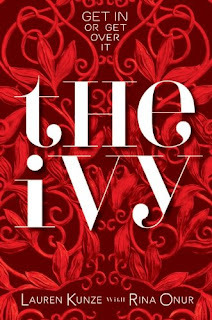 Synopsis: When Callie arrives for her freshman year at Harvard, she encounters her three vastly different roommates, new friendships, steamy romance, and scandalous secrets. Sounds interesting - I mean anything with steamy romance AND scandalous secrets? Anyone else ready to read this one? 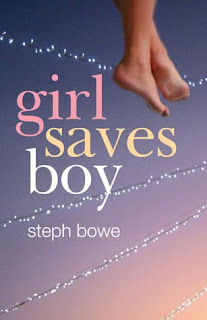 Synopsis: "Most superhero stories start with a meteor shower or a nasty insect bite, but mine actually starts with a kiss..."
I'd heard about this book awhile back and thought it sounded like a pretty cute read. Not to mention the cover is different and pretty in pink! Then, while talking with my friend last night - Natalie from Mindful Musings... she told me she had just started reading the book and told me to check out the trailer for the book. I have to say that this is probably one of the cutest trailers I have ever seen!! I knew I had to share it with all of you. So, take a look and let me know what you think! So, who watches the show and who would like their chance to win the extra copy I was given?? Contest is open to US residents only - Sorry! The winner will be picked using random.org. This book will be mailed out by a 3rd party, so the winner's name and mailing address will be passed on to them. If you have any questions please see my Contest Policy page or please feel free to email with any questions. For more info be sure to check out the Greek Website. Blog Tour: Interivew with Author Maggie Stiefvater + a Contest!! I'm a HUGE fan of both of Maggie's series - Mercy Falls and Books of Faerie and was more then excited to be able to do a interview with her. I hope you'll all enjoy this just as much as I did (and still am) if not more. 1. Can you tell us what a usual day in the life of Maggie Stiefvater is like? One of the things I love about being a writer is that there is no usual day. Hmm, let me try to break it down roughly, though. I guess I bundle the kids off to school, make myself a giant steaming mug of tea with lots of sugar, and then check e-mails. That is pretty reliable. After that, though, I may have scenes to write, revisions to do, copy edits to tackle, interviews to answer, or trailers to create. If I’m drafting, I try to hit 2,000 words in a day -- that’s one solid scene, roundabout. But really the only rule is that there are no solid rules. 2. You are one of the most creative people/authors around, is there anything you have yet to master that you either want to try or have tired and just can’t get the hang of? Thanks. *grin* I can’t make tortillas. I’m not very good at bowling. I can’t eat preservatives. Do those count? Mostly if I’m not good at something, I throw myself at getting better at it. I’m not really good about giving up, even if I’m not in love with doing something. 3. For your Mercy Falls series – what’s been the hardest part in writing such stunning characters and the world around them? Remembering to keep the gestures small and intimate and problems personal and realistic. It’s really tempting to make every book BIGGER, BADDER, MORE EXPLOSIONS! than the last one, but I think Hollywood’s shown us that we don’t really need more, more, more in each sequel -- we just need character growth. 4. Without giving too much away do you have a favorite line or quote from Shiver and/or Linger you could share with us? Hmmm. *gets book* I think I have to say “She was so interesting-looking and unpretty that she actually traveled through ugly to someplace on the other side that was almost as good as pretty” from Linger. 5. Is it, or will it be hard writing The Mercy Falls series in 3 books knowing how many of us have fallen utterly and completely in love with this series? Will it be hard to know when Forever is finished that the story of Sam and Grace is finished? Or will the door be left cracked for something else down the road to feature… well I know for me, one of my all time favorite couples? I would be definitely lying if I said it wasn’t different writing for an audience of several hundred thousand instead of one. But the big challenge is reminding myself that ultimately, I have to pretend like you guys don’t exist while I’m drafting, and just write without being afraid of the consequences. And I think FOREVER is truly the end. I never like to say never, because I said I’d never write about werewolves and look at me. But FOREVER answers the questions I have for the people I’ve invented. I hope readers feel the same way. 6. And lastly…. Could you ask Sam and Grace a question for all of us??? Thank you so much for taking the time out to answers these questions Maggie!! If you haven't already - be sure to check out the pretty amazing trailer for Linger! Looking to get your hands on a finished copy of Linger? Well, now's your chance to enter to win your own pretty, shiny copy! The amazing people Scholastic have offered a copy to one lucky winner. Rules are, as always simple. This contest is open to US residents only. Sorry! Please enter using THIS FORM. Entries in comments will not count, but as always I love to hear from you all, just no entries in comments please. Good luck to everyone! Synopsis: In Maggie Stiefvater's Shiver, Grace and Sam found each other. Now, in Linger, they must fight to be together. For Grace, this means defying her parents and keeping a very dangerous secret about her own well-being. For Sam, this means grappling with his werewolf past...and figuring out a way to survive into the future. Add into the mix a new wolf named Cole, whose own past has the potential to destroy the whole pack. And Isabel, who already lost her brother to the wolves...and is nonetheless drawn to Cole. At turns harrowing and euphoric, Linger is a spellbinding love story that explores both sides of love--the light and the dark, the warm and the cold--in a way you will never forget. Review: 5 Stars - Maggie Stiefvater’s Mercy Fall’s series quickly became one of my favorites within the first few pages of Shiver. I was eagerly awaiting the release of Linger and I have to say that I never thought I could fall in love further with a book or books then I did after reading the second in this Trilogy. The lyrical majesty that Maggie created in Shiver flows right through to Linger making the characters richer, the woods fuller and the story even more magical. Sam and Grace are faced with obstacles big and small as they each try to figure out how they fit into their new lives. The emotion’s of each character leap off the page which made me feel as if I was sitting in the golden woods right with them. In Linger we read from four different points of views – Sam, Grace, Isabel and new-comer Cole. Each of the four characters is going through something, growing with the changes that have happened over the fall and winter. Sam trying to find his place in his new life, Grace dealing an illness and inner turmoil, Isabel and her guilt and grief over her brother and new comer Cole and his… well Cole as a character is complex and has a lot going on, so I’ll just leave it at that. I loved hearing more from Isabel. Her sharp and sometimes harsh wit more then fit against new comer Cole’s cockyness. The moments between Sam and Grace are full, rich and often breathtaking. From beginning to end I just couldn’t get enough, and boy, what an ending that was. I was in shock, I think I even gasped out loud as the events unfolded into an ending that I never saw coming. All in all Maggie knows just how to pull at a person’s heart strings when it comes to the love and emotions of her characters. I have to admit that my heart was heavy throughout Linger for many reasons. I’m sure if you’ve read it you might know what I’m talking about. I just can’t seem to say enough about how amazing this series. I am on pins and needles waiting for the last in the series – Forever which is out next summer. I can say without a doubt that the beauty in Linger is something that I’ll continue to carry with me for a long time. I was lucky enough to be asked to be part of the blog tour for Linger, which I was so excited about. 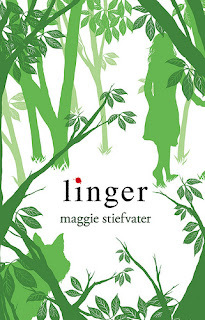 In addition to the review, I'll also be posting a interview with Maggie and a contest for you chance to win a copy of Linger! So keep checking back today for more fun and to help us continue to celebrate the release of Linger!! Keep an eye out for a Interview with Maggie and a Contest for your chance to win a finished copy of Linger later today!! FTC Disclaimer: I did not pay for this book, nor have I been compensated at all in any way or means for reading and writing this review. However, I do have a finished copy that I did pay for. Buy A Book - Win A Prize Giveaway! 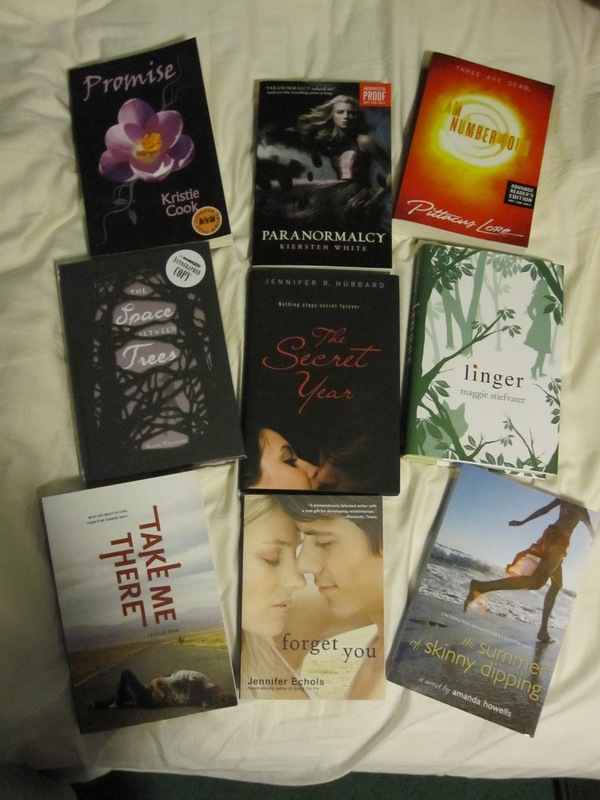 Summer Lovin' Giveaway! 10 Prize Packs!! That's everything from my Affiliates this week! Some great content from them. Post's everyone should check out. Welcome and Hello to all my new followers and Hello to those who have been around for awhile. I <3 you all!!! As for news from me. I have a couple contests coming up tomorrow and this week. Some great stuff too. No hints sorry! Just keep checking back for more info! I'm also still working on my contest month for September to celebrate My 1st Blogoversary, My Birthday and 400+ followers!!! I'm inching closer to that 500 mark which will be amazing to me! Can I make it to 500 follower by September?? I know I'd like to think so. I hope everyone's having a wonderful weekend and I hope your ALL reading something great! Promise By: Kristie Cook *signed! HUGE thanks to Harper, Kristie and Chronicle Books! So, that's what I got this week. Some exciting stuff if you ask me!! What all did you guys get this week? Hey guys! It's time for another Book Blogger Hop + Follow Friday!!! And, I need to say a quick Hello to all my new and old followers - please be sure to comment and join in! * I'm currently reading 2 books. First - Infinite Days By: Rebecca Maizel, which is pretty amazing. I'm just pages away from finishing and will be eagerly awaiting the sequel! By the time this posts I'm sure I'll be finished, so keep an eye out for a review. Second - Promise By: Kristie Cook, which I just started last night but am really enjoying. I can't wait to see what happened next in this!! At this point I'd recommend them both! Also about Promise - it's not YA. It might appear that way, but it isn't. Still, worth picking up. To everyone new and old - A HUGE welcome and Thank You!!! I have some great Interviews, Guest Posts, Reviews, and Contests coming up and My Blogoversary/Birthday/400+ Follower Month of contests is going to be pretty big! That's all happening in September!!!! 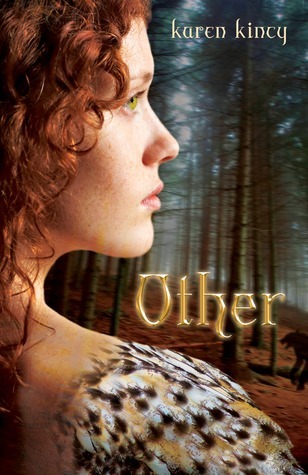 Review: 3 Stars - Other is a great new supernatural novel from debut author Karen Kincy. The world that she has created is one where everyone knows there are people out there who aren’t all that they seem. They are Other. For instance, take Gwen the main character; she’s half Pooka, half human. What’s a Pooka you ask? I didn’t know either and was more then excited to find out. Pooka is a Welsh shape shifting spirit who’s other form can be any animal, however they are drawn to the spirit of a horse. It’s really interesting to read a story about another type of paranormal creature out there, one that was very different from the usual Vampires and werewolves, etc. With such an array of characters – Supernatural and human I couldn’t wait to read and to learn more about how humans would reacted to all who are Other out in the world. In the end it was the reaction of Other to Other and the stereotypes that were present that were stuck in my head long after reading. Gwen was intriguing in more ways then one – mainly because she was a creature I’d never heard of. I’ll admit that sometimes she frustrated me in the choices she made yet other times she was strong and levelheaded. For me, without a doubt a shining light in the book was – Taivan. He totally had me from beginning to end with his honestly and let’s face it - his non cookie cutter hot boy-ness. I felt that the addition to this character was a pivotal part in Gwen’s growth. Another point that I enjoyed was that because humans knew about the supernatural beings out there, there was a chance seeing a centaur shopping for apples right next to you – which might be shocking, but was plausible in day to day life within Kincy’s world. A little slow here and there, but never enough that I didn’t want to finish the book. Sometimes that happens when there’s a lot of back story to cover on human and non human characters and myths. Even more so when it’s the beginning of a brand new series – as this book turns out to be. In the end I found Other full of mystery and suspense, never knowing just where the plot would twist and turn next - interlaced with myth and a love story; Kincy has created a new world with great writing, characters and creatures that I’m excited to learn more and see where she takes everyone within her world next. Enjoy! Some pretty amazing ARC Contests!!! Hey! I just found a couple GREAT ARC contests that I thought I'd share with everyone. I mean who doesn't want to win any of these titles? Good luck to everyone and please don't forget to mention that you heard about this one from me! Andddddd a third HUGE ARC contest to check out.... Carolina from Carol's Prints is having a contest too! She's got more amazing ARC's shes giving away!!! So exciting! If you to enter, please tell her that I sent you - Lisa (A Life Bound By Books) Thanks!! Please don't forget to mention me on this one too! Would love all your help for the extra entries! I thought I was excited to read this book before seeing the trailer.... WOW, now I really can't wait! If you haven't seen it yet, be sure to check it out! For more infomation on the author, series and where to buy the book, be sure to check out this Website! I have to say a HUGE thank to you Kristie for mailing out a copy for review. Can't wait to read it - soon! Also, just so everyone knows - there will be a guest post from Kristie on the 30th as part of the blog tour. So much to look forward to over the next few weeks if not months! Keep checking back for more info. Synopsis: "Hello, David. My name is Rose. It’s a pleasure to meet you. We are now entering minute two of our friendship. According to my Intimacy Clock, a handshake is now appropriate…"
Here's another that sounds good. I looking forward to reading this and was lucky enough to get a review copy, so keep your eyes out for a review here soon. Anyone else think this is a must read? 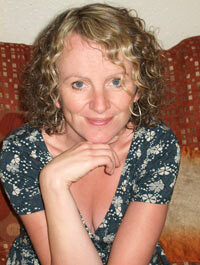 Dear Dylan author Siobhan Curham was kind enough to write up a guest post. She choose an important topic that is found in many books, including her own - Dear Dylan. With six books to my name and a successful career as an editor and writing coach it might not seem as if I need any encouragement in the pursuit of my dreams, but this would be very wide of the mark. Like many people, for a lot of my life I have been dogged by fear: fear that I am not good enough, fear of failure, fear of rejection. When I was a young child and fear hadn’t yet taken control of my imagination I would lose myself in a world of books and dream of the day when I would finally write my own. But by the time I reached university something fundamentally shifted. I found myself surrounded by students from far wealthier backgrounds than mine and with that wealth seemed to come an unshakeable confidence and sense of entitlement – one that I didn’t share. Rather than feeling proud I had made it to Uni with none of the advantages of a private education I told myself I didn’t really deserve to be there and ended up feeling like a fraud. I dropped out of Uni after two years and went to work in a video store, shoving my writing dreams to the darkest recesses of my mind. But the thing about dreams is that they are a fundamental part of who you are – the D in your DNA if you like. You can try and deny them but they will keep coming back like a persistent itch. Needless to say I never quite made it to the big time in the field of customer relations! Throughout this period in my life I also kept notebooks, which I crammed full of ideas for characters and novels, but it wasn’t until I became pregnant with my son that I finally found the courage to drag my writing dreams from the back of my mind, dust them down and do something about them. I started off sending articles and short stories to magazines and then one of the articles turned into a non-fiction book and that book actually got published. It was only then that I had the confidence to pursue my big dream and sit down and write a novel. The rest as they say, is history. Now when I run workshops in high schools I try to use my story to encourage any students who might be tempted to let fear or lack of confidence hamper their own dreams. And this is a theme that comes out in my first novel for young adults, Dear Dylan. The protagonist, Georgie ends up overcoming massive obstacles and taking huge risks in order to pursue her dream of being an actress. The Goethe quote on my dream board is right. Boldness definitely does have a magic to it. Every time I have turned my back on fear and chased my dream something amazing has happened. The most recent being Dear Dylan itself. A year ago, after a two-book deal for it fell through, I almost gave up. But then I decided to publish the book myself and have gone on to get my first nomination for a literary award - something I had never dared dream of previously. If you don’t believe me try it for yourself. Make your own dream board, fill it with inspiring pictures, cuttings and quotes and see what happens. It might not turn out exactly as you planned but I can guarantee you’ll be very pleasantly surprised. Siobhan, Thank you so much for sending the copy of Dear Dylan for review and thank you for writing the guest post. I really enjoyed everything! *note: I do not receive any compensation for the links shown within this post. From: the Author - Thank you so much Siobhan!! Review: 3.5 Stars - When I first started reading Dear Dylan I wasn’t sure just what to think, it took quite a few pages to really get into. It’s written in alternating emails between a teenage girl and someone she believes is Dylan - a star from a well known TV show in England. She’s a teen with a lot of troubles at home and uses the emails to vent with someone – real and the character he played - who she felt she connected with and could understand just what she is going through. Curham did a great job writing from a troubled a teen’s point of view. With how serious things were throughout each email there were times I couldn’t help but to laugh out loud at the great lines that each of the characters had. The way Georgie was able to get help to deal with her home life and the problems she was facing with her friends was honest and caring. It was wonderful how someone who’s an outsider was able to view things from a distance and tell Georgie just the right thing at the right time. As a reader it was sweet watching the changes in Georgie and how she grew up over the course of a summer. There’s a little bit of everything in this book and I commend Curham’s ability to write such strong and realistic characters that many people of all ages will be able to relate. Having done it the way she has in email format might be hard at first to get into, but in the end worked pretty well for me as a reader. I just wanted to take a minute to say Thank You to Siobhan for taking the time to write up a guest post, which you'll all get a chance to read later today or tomorrow - so be sure to come back to check it out. Synopsis: Not your everyday coming-of-age novel. 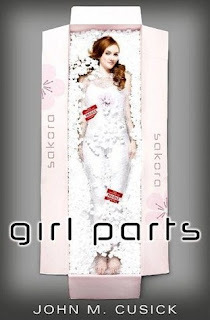 This story was supposed to be about Evie how she hasn't made a friend in years, how she tends to stretch the truth (especially about her so-called relationship with college drop-out Jonah Luks), and how she finally comes into her own once she learns to just be herself but it isn't. Because when her classmate Elizabeth "Zabet" McCabe's murdered body is found in the woods, everything changes and Evie's life is never the same again. I'm looking forward to reading this one and wanted to share the first chapter with you all. I'll be reading and reviewing this one soon, so keep an eye out for that. What do you guys think? How does this one sound to each of you? This is my first Weekly Wrap Up. Each week I'll put together a post highlighting fun, exciting and important news and events posted by my Affiliates, and sometimes highlighing some of my own posts as well. I'm taking part of this idea from one of my Affiliates - Natalie of Mindful Musings. Thanks Natalie. First off, I'd like to say a HUGE welcome and Hello to all my new followers, and Hello to those that have been with me for a while longer. I have just surpassed 400 followers and its exciting to have reached that mark. You guys are all the best!! As for me, this week I was busy with the Once Apon a Read-A-Thon, my first Read-A-Thon. I had a great time and was able to finish a few books and those reviews and more will be coming this week. Along with just reaching 400 followers my Blogoversary and Birthday are right around the corner. To help celebrate all three I'm working on a few contests that I can't wait to bring to you all. Have a book you'd like to win - leave me a comment and maybe your request will be added to one of the contests!! Enjoy the rest of your weekend, I know I will! Stay cool everyone. Book Blogger Hop! Follow Friday!!! Contest from Across the Pond Winners! Once Apon A Read-A-Thon Update!!!! Winner - $60 CSN Gift Card!! !